What to Look Out for in Lame Duck! The Midterm Elections are upon us — and NETWORK is busy looking ahead to the work that must be done for the rest of the year. Members of Congress will arrive back to Washington, D.C. on Tuesday, November 13 to finish out the final legislative efforts for the 115th Congress. There are some time-sensitive issues Congress must address, as well as others that may be considered if there is time and political will. All the items on the agenda will be affected by two factors: the outcome of Tuesday’s election as well as subsequent leadership elections, especially in the House of Representatives. With these uncertainties in mind, here is NETWORK’s analysis for upcoming issues in the final days of the 115th Congress. Appropriations: Congress outperformed all expectations by passing 7 of the 12 appropriations bills for FY2019 before the start of the fiscal year, which began on October 1. While kudos are in order, NETWORK is urging them to pick-up where they left off as soon as they return and it’s imperative that they finish the job before the end of the year. Lawmakers have until December 7th to reach agreement on the 5 remaining spending bills which fund programs at more than 10 federal agencies, or risk a government shutdown. Several of our Mend the Gap issues are among the log-jam. These include: programs that fund the 2020 census, affordable housing and keep immigrant families together. The most contentious issue will be funding for the Department of Homeland Security; which President Trump has already threatened a government shutdown if Congress fails to appropriate roughly $5 billion for his border wall. A government shut-down would be detrimental just weeks before Christmas and would coincide with the anticipated arrival of thousands of migrants trekking toward the Southern border. NETWORK has joined hundreds of advocacy organizations in calling for Congress freeze spending at FY 2018 levels for immigration enforcement officers, agents and detention beds. And we urge Congress to pass a separate short-term extension for the Department of Homeland Security. NETWORK is ready to kick our advocacy efforts into high-gear if we perceive threats around funding for our immigration and census priorities. Funding for the Census Bureau, which requires a significant ramp-up for Census 2020 preparations and planning. If Congress returns to the dysfunction we saw last year with repeated funding delays via Continuing Resolutions, it could seriously threaten the ramp-up and preparations for our government’s largest peacetime undertaking, the decennial. Fiscal Year 2019 is the pivotal year leading up to the 2020 Census so postponing full funding would have dire consequences on the preparations and outcome of the count. While the proposed funding levels from the Senate and the House seem acceptable, it is unclear what the budget impact would be on the impending court ruling on the controversial citizenship question. Click here to read more about NETWORK’s FY 2019 appropriations priorities. That being said, there are some outstanding “Maybe” issues that Congress could address: the Farm Bill, Criminal Justice, and the Low Income Housing Tax Credit. There has not been much apparent progress since the Farm Bill moved into conference in August. 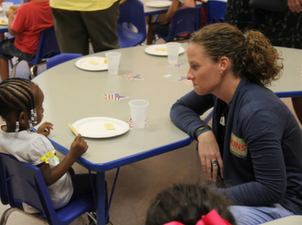 One of the primary sticking points in negotiations is the nutrition title and reauthorization of the Supplemental Nutrition Assistance Program (SNAP). The partisan House Bill—which passed by 2 votes on the second try—includes harmful provisions that would undermine the program’s effectiveness and cut nutrition assistance for millions of Americans. The Senate bill, which saw the strongest bipartisan support of any prior Farm Bill (86-11), makes key improvements to strengthen SNAP without threatening food security of participants. The 2014 Farm Bill expired this month but, fortunately major programs like SNAP have a funding cushion that minimizes the impact of Congress missing that deadline. It’s highly likely, though, that the Farm Bill conference committee will kick into high gear when Congress returns on November 13th. During Lame Duck NETWORK will need your help to ensure that the nutrition title from the Senate bill is what’s ultimately adopted and voted into law. There is wide speculation that the Senate could join the House and take up a modest criminal justice reform package during the Lame Duck session, if 60 Senators agree to proceed. In May, the House passed the First Step Act, a bipartisan bill purporting to be a significant step forward in prison reform. Over the summer the President tentatively agreed to include several sentencing reform elements into a prison reform package. The Senate was split on the issue of separating prison reform from sentencing reform but has changed course given the President’s willingness to negotiate a compromise. While NETWORK supports sentencing and prison reform as a joint legislative package we did not take an official position on the First Step Act. Read NETWORK’s thoughts on the First Step Act, from when it passed the House, here. Given the national shortage of affordable housing, NETWORK believes it is critical that new build more low income housing units. Passage of this bill will go a long way to meeting the needs of the homeless and other vulnerable low income individuals and families. This entry was posted in Budget, Criminal Justice, Food Security, Front Page, Healthcare, Housing, Immigration, Policy Update, Taxes, Voting and Democracy, Women and Families on November 5, 2018 by networklobby. This entry was posted in Housing, Mend the Gap, NunsontheBus2018, Taxes on October 21, 2018 by ashley. This summer, Congress made extraordinary progress toward completing the requisite 12 spending measures for upcoming fiscal year (FY) 2019. To date, the Senate has passed nine spending bills, while the House has passed six. Lawmakers have until September 30 to finalize spending bills or extend funding at current levels through a continuing resolution (CR). Efforts are underway to bundle nine* out of 12 spending measures into three packages by September 30 and put the remaining three** bills into a CR, averting a government shutdown. One reason for the Senate’s remarkable pace on appropriations is President Trump’s vow to not sign another omnibus spending bill. To achieve this progress, the Senate uncharacteristically spent part of August in session. Another reason is a bipartisan agreement between Appropriations committee Chairman Richard Shelby (R-AL) and Vice Chairman Patrick Leahy (D-VT) not to pack spending bills with controversial provisions that would weaken bipartisan support. NETWORK continues to lead lobby efforts supporting our Mend the Gap priorities. These include: humane border enforcement that promotes family unity and funding increases for affordable housing, workforce development, job training, child welfare and health care. In addition, NETWORK will continue to oppose efforts to defund the Affordable Care Act. Unsurprisingly, the Trump Administration’s “Zero Tolerance” immigration policy dominated the appropriations debate and faced strong opposition across party lines in both chambers. NETWORK joined pro-immigration advocates in garnering support for more than 12 amendments to the Homeland Security bill that adds report language that clamps down on family separation with better oversight and accountability standards for ICE detention centers. Additionally, we successfully lobbied for more funding to support alternatives to detention, family case management services, and mental health screening of unaccompanied minor children crossing the Southern border. However, a major disappointment by House Appropriators includes the reversal of the Flores Settlement, a 1997 agreement drafted by the ACLU which set a 20-day limit for family detention and governs the conditions of detention for children, including that facilities be safe, sanitary, and age appropriate. If enacted this would allow immigrant families to be indefinitely detained in facilities with harsh conditions not supported by Flores. Thankfully, the Senate approved LHHSED Appropriations bill leaves the Flores settlement agreement intact and the House language is not likely to be part of the final bill. As for immigration enforcement spending contained in the Homeland Security Appropriations bill, the House Appropriations Committee approved $7 billion more than the Senate for Immigrations and Customs Enforcement (ICE), Customs and Border Patrol (CBP) and the Southwest Border Wall. Other areas of concern include, a 10 percent increase in detention beds, as well as funding to hire almost 800 more border and customs agents/officers. NETWORK will continue to push back on efforts to separate families or that would undermine humane border enforcement as negotiations gain momentum post the mid-term elections. The current Farm Bill is set to expire on September 30, unless Congress passes the next Farm Bill before then or extends the current reauthorization. Regardless of when Congress finalizes the next Farm Bill, funding for SNAP will not lapse as the government is statutorily required to continue funding the program subject to participation demands. Since 2015, SNAP enrollment has declined by more than 4.7 million people resulting in a $73 billion automatic appropriation for FY 2019. This is $794 million less than FY 2018 and a 10 percent reduction since FY 2015. House appropriators gave a big boost to the Census Bureau in the FY 2019 Commerce, Justice, Science Appropriations (CJS) bill, approving nearly $1 billion more for the agency than the Senate. However, it is unclear how much of the $4.8 billion for the agency will be allocated for the 2020 Decennial. Conversely, the Senate appropriators (under new leadership) appears to have taken a more conservative approach and adopted the President’s FY 2019 budget request to fund the 2020 Decennial at $3.015 billion. This is drastically different from NETWORK’s request of $3.928 billion minimum baseline. Besides census activities, the CJS bill also funds immigration related law enforcement and adjudication efforts within the Department of Justice. Regrettably, the House Committee bill, fails to fully protect immigrant families and includes increased funding for immigrant-related law enforcement efforts. Congress is not expected to finalize the CJS bill until sometime after the mid-term elections. NETWORK will continue to call on our supporters to push for the higher number for the 2020 Census contained in the House bill. Funding for housing programs fared better in the Senate. The Senate approved a $12 billion increase above the President’s FY 2019 budget request−and is $1 billion above the House bill. Housing programs help nearly 5 million vulnerable families and individuals. This includes: $22.8 billion for tenant-based Section 8 vouchers; $7.5 billion for public housing; $11.7 billion for project-based Section 8; $678 million for Housing for the Elderly; and $154 million for Housing for Persons with Disabilities. 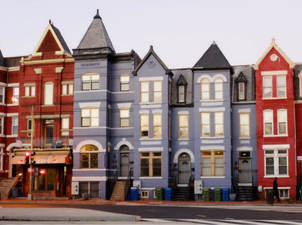 Both committee bills reject the Administration’s rent reform proposal, and reinstate funding for the Community Development Block Grant (CDBG) and HOME Investment Partnerships programs, which were eliminated in the President’s FY 2019 budget request. However, the House reduces spending for the HOME program by 12 percent. NETWORK will continue to advocate for increased funding for affordable housing programs. The LHHSEd Appropriations bill funds popular safety net programs, like Medicare and Medicaid operations, home energy assistance, Head Start and the Child Care Development Block Grant. It is the 2nd largest spending bill, after defense and comprises about 63 percent of total discretionary spending. The House and Senate bills are slightly different—overall the Senate bill is better because it has a higher spending allocation and contains no poison pill riders unlike the House. Unfortunately, the Affordable Care Act continues to be attacked by Republican lawmakers. Both the House and Senate bills reduce access to affordable health care by cutting funding for the Centers for Medicare and Medicaid Services (CMS) operating budget by nearly half a billion dollars. 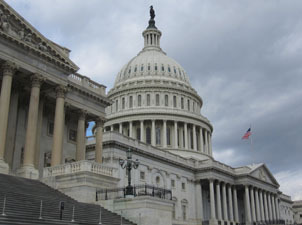 According to the House Committee report, Democrats view defunding CMS as “a misguided attempt to sabotage the Affordable Care Act’s health insurance marketplace.” If enacted this cut would significantly impact Medicare as it subject to mandatory 2 percent sequestration cut pursuant to the Balance Control Act of 2011 (P.L. 112-25). NETWORK will continue to call on our supporters to push back against efforts to defund the Affordable Care Act. * Agriculture; Defense; Energy and Water; Financial Services; Interior; Labor-Health and Human Services-Education; Legislative Branch; Military Construction and Veterans Affairs; Transportation and Housing and Urban Development. **Commerce, Justice, Science; Foreign Operations; and Homeland Security. This entry was posted in Budget, Food Security, Front Page, Healthcare, Housing, Immigration, Policy Update, Voting and Democracy, Women and Families on September 12, 2018 by tralonne. How did you first learn about NETWORK? I learned about NETWORK from the Ursuline Sisters of Cleveland Social Justice Office when I first entered the community. NETWORK has informed and educated me on many social justice issues, which in turn has empowered me to do advocacy work. What inspired you to get involved and join NETWORK? I was inspired to take action with Nuns on the Bus in 2016. The goal of the trip was “to bring a politics of inclusion to divided places, change the conversation to mending the vast economic and social divides in our country, and counter political incivility with a message of inclusion.” Our world is in great need of this and I believe it is important to advocate for systemic change that seeks to address the needs of our brothers and sisters who are underserved. What better way to do this than travel the country to listen to the realities and lived experiences of people in our own communities—and then take those stories to our elected officials and encourage them to legislate for the common good. What issue area(s) are you most passionate about? Housing, healthcare and advocating for a faithful budget. How does your faith inspire you to work for justice? My faith has deeply inspired my work for peace and justice. As an Ursuline Sister of Cleveland, the story and legacy of martyrs Dorothy Kazel, Ita Ford, Maura Clarke and Jean Donovan have had a tremendous impact on my call to work for systemic change in our world. Even though I was not yet born when the women were killed, their history and legacy shared with me by my sisters has formed and shaped me as a woman religious. We must continue the work of those who have gone before us—and be faithful to the call as women of faith, committed to contemplation, justice and compassion in all we do. Is there any quote that motivates or nourishes you that you would like to share? What social movement has inspired you? The youth of our world who are standing up and allowing their voices to be heard on critical issues. I am so inspired and filled with hope witnessing the good work of the next generation. Erin Zubal is an Ursuline Sister of Cleveland. She currently serves as Guidance Counselor at Cleveland Central Catholic High School in Cleveland, Ohio. This entry was posted in Budget, Front Page, Healthcare, Housing, Nuns on the Bus, Spirit Filled Network, Women and Families on June 4, 2018 by networklobby. 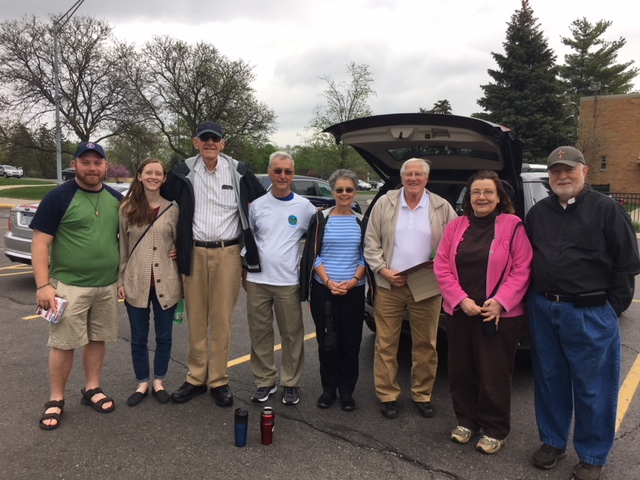 Recently, several members of the East Lansing Catholics Network visited Flint via St. Mary’s Parish for an education & awareness experience. Under the veteran direction of Mary Dowsett (Director of “Faith in Flint” for the Catholic Community of Flint), Patrick Brennan (one of our seminarians), Michael Hasso (campus minister for Flint), our own Deacon Ziggy, and Josh and Sarah Hamilton, we walked the streets and neighborhoods of the parish to meet and share with residents, and pray with/for them if they accepted the offer. This was the outgrowth of one of our Soup & Substance programs this past Lent, when Mary Dowsett, Deacon Ziggy, and Deacon Jim shared about our diocesan initiative in Flint. It was a great faith experience for all of us! I was one of the members of the East Lansing Catholic Network who went to Flint, Michigan to participate in Faith in Flint, a Diocesan initiative to organize people of faith to walk the streets, knock on doors, heal the sick, visit the imprisoned (many, prisoners in their own home), sit with others at soup kitchens, and reach out and simply connect with people in Flint. 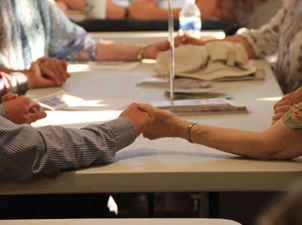 As volunteers, we first gathered in prayer to seek the Holy Spirit’s guidance, then we broke into small groups before heading out to walk the neighborhood with staff and other experienced volunteers. We walked in groups of 2 or 3, as Jesus did. We wanted to meet the neighbors, to let them know someone cares about them, and begin to establish a positive relationship with them. It was truly an amazing experience, both seeing the neighborhood (many burned out and abandoned houses, as well as perfectly groomed homes) and meeting the people. Those who opened their doors to us also opened their hearts. Each person’s story was very different; some were very optimistic about their lives and the efforts to improve the neighborhood, while others were very pessimistic and spoke of leaving the area. Some had stable lives, several were dealing with multiple health issues, while others had experienced tragedy, including a son’s murder. Nearly everyone we spoke with blessed us by allowing us to pray with them and sharing smiles. Nearly all invited us back as we left. Because of our leader’s loving attitude and desire to greet anyone and everyone we passed, we also experienced very positive interactions and discussions with those passing by on bikes or on foot! What an honor it was to follow our spirit-filled leader and be the Lord’s feet, mouth, and hands that day in Flint. Janice Hudson is a member of the East Lansing Catholic Network, one of NETWORK’s Advocates Teams. This entry was posted in Front Page, Healthcare, Housing, Spirit Filled Network on May 23, 2018 by maryc. What Are Members of Congress Saying on Public Charge? NETWORK will be updating this page with the latest statements. “Such a rule would essentially force families, including those with U.S. citizen children, to choose between getting the help they need to prosper — from crucial programs that provide medical care, food assistance, housing assistance, and early childhood education — and reuniting with those they love. These are not the ideals of our country and we urge the Department to reconsider this ill-advised proposal.”-Letter to Kirstjen M. Nielsen and Mick Mulvaney signed by 85 Members of Congress. The original letter can be found here. “What will the Trump Administration do next? Since day one, we have witnessed a series of attacks by the administration targeting immigrant communities around our nation. This latest back-door attempt to leverage public health and efforts to deny legal immigration benefits, seeks to circumvent Congress and ultimately restrict family reunification. This ill-advised proposal will make it difficult for individuals seeking legal entry or permanent residency in the United States to care for their family through the use of social services that they are legally entitled to use. This rule fails to uphold the values of our nation and will force individuals to choose between putting food on the table for their children and being granted legal status.” –Rep. Adriano Espaillat (NY-13). “Let’s be clear— current law already prevents the vast majority of immigrants from accessing Federal means-tested public benefits. That’s not what this proposed rule is about. This is about denying immigration benefits and keeping families apart. It would essentially force families, including citizen children, to choose between getting the help they need—like medical care or Head Start—and reuniting with loved ones. This rule will not only harm immigrant families, it will undermine decades-long efforts to improve the health and well-being of our communities and our nation.” –Rep. Zoe Lofgren (CA-19). “The Trump administration’s proposed ‘public charge’ rule is a dangerous attack on immigrant families. For centuries, immigrants fleeing economic hardship, persecution, and violence have found opportunity in our country to do what is best for their families. This proposal imperils that ability and forces immigrant families to make the tragic decision between basic necessities and their future in our country. I urge the Trump administration to rescind this heartless proposal, cease its baseless attacks on immigrant communities, and stop inserting nativist principles into policies that directly contradict American values.” – Rep. Raúl M. Grijalva (AZ-03). Original post with statements can be found here. At the heart of the American experience lays the dazzling idea of the American Dream. We profess the dream proudly, holding it as a symbol of our nation’s deepest values: acceptance, equal opportunity, and prosperity achieved through hard work. Yet, how can we profess this to be true if not everyone is given an equal chance to prosper and if we penalize people for utilizing the very programs that are designed to help them get ahead? On March 28, 2018 the Washington Post relayed the latest update on the proposed public charge rule, which could change the process for immigrants seeking legal residency. The draft of this change has not been formally published and is currently being reviewed by the Office of Management and Budget for approval. This proposed public charge rule demonstrates another attempt by the Trump administration to restrict family-based immigration and cut off access to public benefits that help families meet their basic human needs. Yes, this rule, if it comes to pass, would apply to families who have come to the United States legally in search of a better life. These are the people who have gone through the system and as our Republican friends like to say patiently “waited their turn in line” to obtain green cards. These are the families and individuals who would be penalized if this proposed rule comes to fruition. So what exactly does public charge entail? Under the proposed draft, individuals would be required to indicate their reliance – and for the first time any family members’ reliance – on public aid programs such as the Supplemental Nutrition Assistance Program (SNAP), housing assistance, the Children’s Health Insurance Program and even refundable tax income credits obtained through the Earned Income Tax Credit (EITC). People who depend on these programs, or who have children who rely on them, could potentially be derailed on their path to a green card or even deported. The draft regulation penalizes those applying for lawful permanent resident status if they have big families and if they have limited income. This would be particularly harmful to mixed-status families with U.S. citizen children where parents will have to decide whether their child should use programs like Medicaid or school lunches if such use could lead to deportation of a family member seeking a green card. So basically, individuals would be forced to choose between catering to their basic human needs or protecting their immigration status. If this rule passes it will have a deleterious effect on families. It would separate families who rely on public aid and increase the risk of falling into poverty for those who do not enroll in public aid programs for fear of being forced to abandon family reunification. An article in the Huffington Post estimates that this proposal puts 670,000 children at risk of falling into poverty. While there is bipartisan consensus that our nation’s children should have access to food, healthcare, and other basic necessities, this rule threatens to upset the balance completely. The argument in favor of instituting a public charge rule is that those applying for a green card should be “self-sufficient.” However, it is estimated that around the same percentage of native-born Americans use public assistance as foreign-born individuals. Will our brothers and sisters not be able to achieve the American Dream solely because they need health insurance, food or housing for their families? I surely hope not. This entry was posted in Food Security, Front Page, Healthcare, Housing, Immigration, Policy Update, Staff, Women and Families on April 11, 2018 by maryc. At long last, Congress will pass a bipartisan FY 2018 spending bill that will send communities across the country much anticipated resources. This legislation is six months overdue, and Congress should be ashamed. That being said, while it is not perfect, the FY 2018 consolidated appropriations measure contains robust investments in vital safety net programs. Many of NETWORK’s Mend the Gap issues were among the programs that fared well. The spending measure significantly boosts funding for the 2020 Census, low-income housing, as well as healthcare for seniors, children, and people who are disabled. Investing in safety-net programs is paramount to ensuring the common good. We are disappointed that Congress did not muster the courage to include a permanent fix for more than 800,000 DACA recipients. That being said, we know the Trump Administration wanted – and failed – to expand their mass deportation agenda. 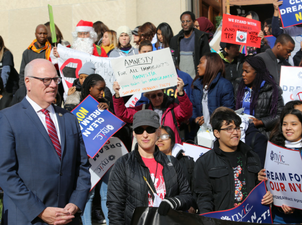 NETWORK continues to support our champions in the House and Senate for their unwavering commitment to protect Dreamers and their families from harmful attempts to tear apart families. All of us at NETWORK Lobby for Catholic Social Justice look forward to working with Congress throughout the FY 2019 appropriations process to ensure passage of a Faithful Budget. It’s our hope that Congress will turn a new leaf and set aside petty partisanship in order to complete its work on time. Scales back on detention beds: includes 40,520 beds with a glide path down to 39,324 by the end of the fiscal year, a decrease of 12,055 from the FY 2017 enacted level. This entry was posted in Budget, Front Page, Healthcare, Housing, Immigration, Policy Update, Women and Families on March 22, 2018 by networklobby. During her talk I thought of isolation I see around me. I am a senior at Marquette, a Jesuit University that “strives to develop men and women who will dedicate their lives to the service of others, actively entering into the struggle for a more just society.” Yet, through perceptions of poverty and violence, there is often an “othering” of those who live in the Milwaukee neighborhoods directly surrounding my campus. These assumptions create barriers between us in the “bubble” and those living just a few blocks away. Virtue of curiosity: Have a holy curiosity to build community with folks we don’t know. Listen to other people’s stories. Virtue of sacred gossip: Share those stories that you discovered. It brings us together and spreads knowledge. Virtue of joy: Joy is in the relationship, joy is in the discovery, joy is in being woven together in community. Virtue of doing your part: Don’t try to do it all—we are all one part of the body. Through my own journey I have seen how these virtues can transform an individual and a community. 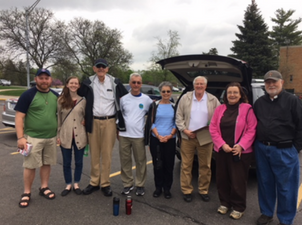 As a research assistant with the Marquette University Center for Peacemaking, I went door-knocking in the neighborhoods surrounding campus to collect survey data used to inform community initiatives. My first day door-knocking, I stepped onto the streets that had been described like the “shadowland from the Lion King.” I wrestled with that image in my head and tried to leave my assumptions behind. Quickly, I realized that the neighborhoods surrounding my campus were home to a diverse group of people (racially, economically, religiously, culturally). People were excited to share their opinions about their community and ready to see new community initiatives. When Sister Simone said that “hope is a communal virtue,” I thought of the people I met door-knocking. When I returned to campus, I shared the survey results with the data team, but I also shared their stories with my friends. I found joy in making the connection with the neighborhood residents, but also in sharing what I had learned. It didn’t solve any headlining issues, but I was a part of a team working to revitalize a community. By making connections with “the other,” my assumptions faded away and were replaced by stories. So, when I approach peacebuilding in these polarized times, I will be sure to have some holy curiosity, engage in sacred gossip, practice the virtue of joy, and seek out how I fit in to the greater picture. Glaire Guinta is a senior at Marquette University in Milwaukee, Wisconsin where she studies International Affairs, Spanish, and Peace Studies. Throughout her university career, Claire has been involved in various activities supporting immigrants and refugees, including trips to the borderlands and providing interpretation services in Milwaukee. She currently works at the Marquette University Center for Peacemaking. This entry was posted in Emerging Justice Seekers, Front Page, Housing, Racism on March 15, 2018 by networklobby. Congressman Joseph Crowley represents New York’s 14 congressional district and is Chair of the House Democratic Conference. This year, Congressman Crowley received a 100% on NETWORK’s voting record for the sixth year in a row. (View the 2017 voting record.) His six-year record is the longest out of anyone currently serving in Congress. NETWORK spoke to Representative Crowley to learn about how his Catholic faith and his lived experiences inform his political decisions. How does your faith inspire your work in Congress? I was raised to live by the Golden Rule: ‘Do to others as you would like them to do to you.’ This has guided me in life and inspired my work in Congress. It is simple: we need to treat others with the same compassion and empathy with which we all want to be treated, and put forward just and fair-minded policies that ensure opportunity for all. This means doing the right thing and working hard to ensure that my constituents from Queens, the Bronx, and all Americans can enjoy the brighter future they and their families deserve. What is the proudest vote you have cast this year? I believe that health care is a right, not a privilege. That’s why I voted against the so-called “American Health Care Act,” which would have stripped access to quality health care for millions, and punished children, seniors, and those with pre-existing conditions. I am very proud to defend the right of Americans to have access to affordable, quality health care, but also know we must do even more to make sure health care is available to all. What has been the biggest challenge you’ve faced this year? A big challenge has been President Trump’s attacks on immigrants and refugees, including his heartless decision to end the Deferred Action for Childhood Arrivals program, which has upended the lives of nearly one million talented DREAMers who contribute to their communities and the American economy. These young people have all the qualities our nation was built upon and should be welcomed here. What about this past year has surprised you the most, politically? I’ve been appalled by the completely inadequate response to the suffering and pain of our brothers and sisters in Puerto Rico and the U.S. Virgin Islands. President Trump and congressional Republicans have treated the victims of these natural disasters like second-class citizens, when they are as American as you and I. I visited Puerto Rico in the wake of Hurricane Maria and witnessed the extensive devastation there. We need to do more to ensure that everyone living there has the resources needed to rebuild and recover, and I’ve promised our fellow Americans there that the federal government commitment to them will continue for years and decades. What policy area will you focus most on in 2018? There are too many important policies to pick just one. But an issue I’m especially passionate about is ensuring that hard-working Americans have access to affordable housing. Housing is one of the most basic human needs and the lack of affordable housing is a crushing burden for many families in Queens and the Bronx and across the U.S. This year, I introduced the Rent Relief Act – legislation to help those struggling to balance the high costs of rent with the needs of their families. It would put money back in the pockets of renters who spend more than 30 percent of their income each month on housing. This is an extraordinary way for us to build the middle class and secure the financial stability of working men and women. 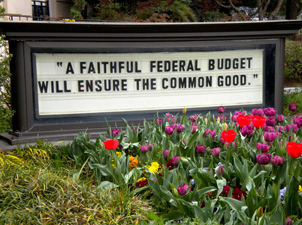 When times seem difficult, what keeps you motivated to continue working for the common good in Congress? My constituents in Queens and the Bronx. Meeting with them and hearing directly about their passions, dreams, and hope are always motivating and inspiring. Despite all the challenges we face, I’ll continue to defend our values and provide good solutions for my constituents and all Americans. How have you seen policies you’ve promoted in the past positively affect your constituents and our nation? Legislation such as the Affordable Care Act has positively improved the quality of life of my constituents and of millions of people across the nation. The ACA has expanded coverage, reduced costs, and improved our health care system. We need to continue protecting this accomplishment and come together to improve health care so every American has access to affordable and quality care. You voted with NETWORK 100% of the time for the past six years, which is the longest record for any current members of Congress. How does it feel? Extremely honored. From protecting and improving our health care system to creating economic opportunity – my positions on our nation’s most pressing issues are always guided by the common good. I’m proud to be an ally of NETWORK in working toward economic and social transformation in our communities. 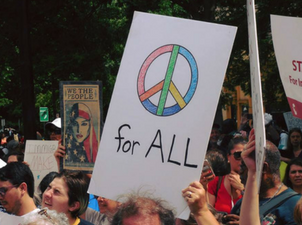 Do you have any advice for advocates inspired by their faith to engage in politics? Turn your faith into action and never underestimate the power of your voice. Now more than ever, your engagement is making a difference. Originally published in Connection Magazine. Read the full issue here. This entry was posted in Front Page, Healthcare, Housing, Income, Mend the Gap, Spirit Filled Network, Women and Families on February 27, 2018 by colleen.